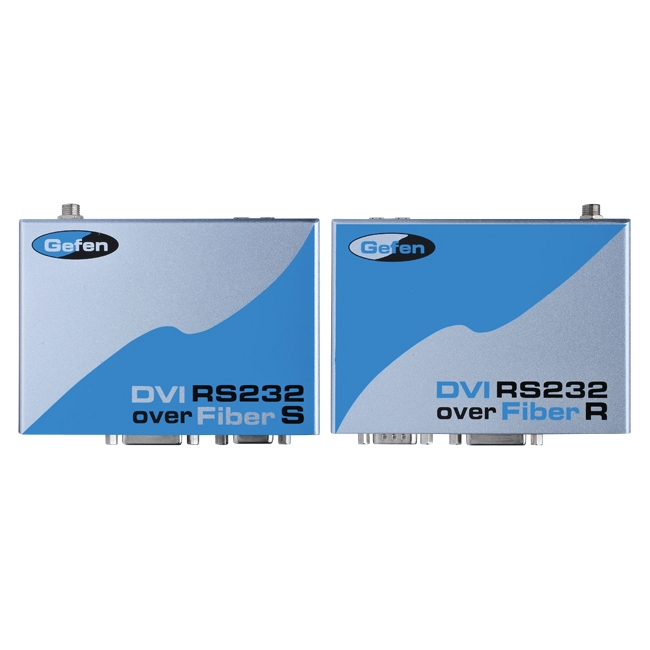 The Gefen DVI RS232 over Fiber is a perfect solution for extending and managing control systems, touchscreen or digital signage applications at great distances. The DVI RS232 sends DVI, RS232, and IR signals up to 1000 feet using a single CAT5 and single SC fiber. RS232 and IR signals are transmitted over a single CAT5 cable while the DVI signal is transmitted over a single SC fiber.